So, first off, can you tell us about Shaintar in a nutshell? What’s its elevator pitch? One of my players came up with that, and it stuck so hard it wound up on our official shirts. It’s Epic High Fantasy, and the capital letters are by design. There’s plenty of dark, plenty of dungeon-delvers, and plenty of post-apocalyptic dark dungeon delvers. Shaintar is meant to be a place where you play cinematic action adventure heroes doing mighty, exciting things for reasons other than simply getting richer and better at killing more things. Everything about the system fits perfectly for what I wanted for Shaintar. The flexibility of character creation without classes and levels mixed with a heavy emphasis on over-the-top action and pulp-style adventure – this fits the vision for Shaintar well. At the same time, there was no classic high fantasy setting for SW when I brought this to the market. 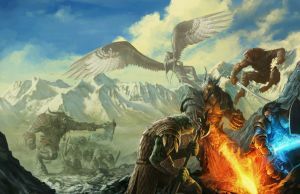 When Shane Hensley discovered that I was looking for the right system, he hooked me up with some of the earliest stuff; we both understood what I could do with a system like that and grand heroic fantasy. The rest is history. How long has Shaintar been in the making? In many real ways, I started working on what would become Shaintar in 1977, when I opened up the boxed set of the first Dungeons & Dragons game. There was “The Keep on the Borderlands,” and I decided to start building my own lands for the Keep to sit on the border of. As I worked my way into the games industry as a professional in the late 80s, I brought along Shaintar with thoughts about how I might present it. There was a plan to bring it out as an official Fantasy Hero setting, but the marketplace changed during that time. We explored having it as a centerpiece of what became the Fuzion system’s set of products, but that fell apart pretty hard. Finally, Shane hooked me up with Savage Worlds back in 2007, and I’ve not looked back. 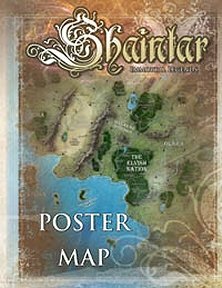 What are some of your sources of inspiration when creating Shaintar? What do you think are some of the most truly unique aspects of Shaintar both in story, and in gameplay? The setting itself encourages deep backstory and epic thinking with your player character. It also guides the Game Master to think cinematically and grandiose about their stories. With the advent of the Justice and Life campaign, we’ve taken things in a direction no official setting has ever tried before. 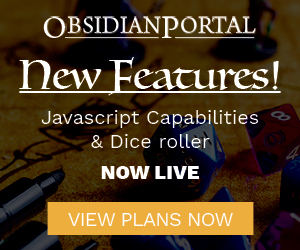 Players and GMs are now free to play in the canonical setting, as published, and to have their stories and adventures matter to the official setting. 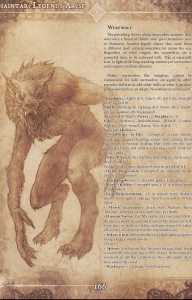 With this in play, you can truly live in the epic fantasy world, and your stories matter in ways no other fantasy gaming experience has ever allowed before. I see there are enhanced rules for magic within the SW system, a lot of people say that SW doesn’t do magic too well by default. What have you done to change that up? 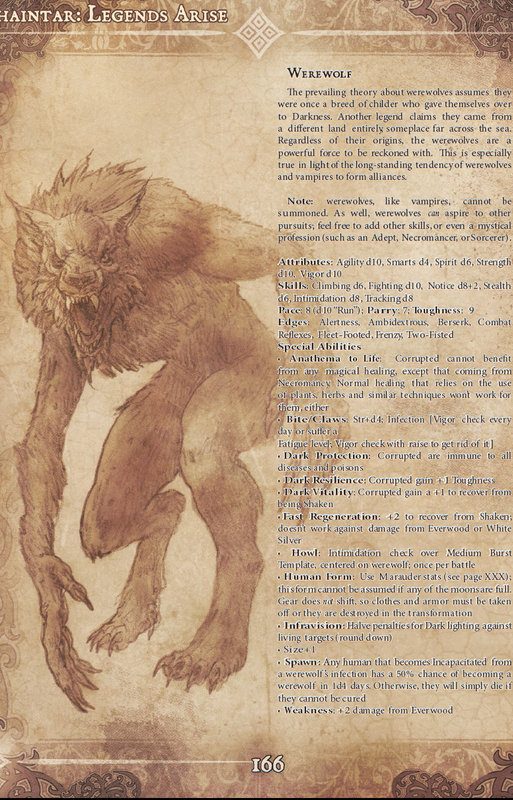 I am proud of the reception folks have to how Shaintar enhances the use of Powers and magic in the Savage Worlds rules. There are distinctive and flavorful styles of magic, each with its strengths and challenges. From matters of terminology (using the word “Essence” instead of “Power Points” for the fuel for casting) to enhancements to the core Powers (the Applications concept in Legends Arise, which allows sorcerers to craft expanded spells, and a highly evolved use of Trappings), there’s a lot more going on with magic in Shaintar than in the standard SW setting. As well, players can start playing with huge magic once they become Legendary, as the Legends Unleashed book introduces High Magic that rivals any of the really big spells you’ll find in other fantasy games. At the same time, all of these rules flow very naturally and simply from the core mechanics, making it all intuitive and easy to use. On a scale of 1 to 10, where would you say Shaintar lies in complexity? For someone with no Savage Worlds experience at all, it might fall as a 5 or 6. Savage fans will probably find it more of a 3. There are so many fantasy RPGs out there pulling for our attention, right now especially. What should convince people to check out Shaintar over the others? Honestly, I just cannot say it better than that. There is a ton of wonderful artwork within the Shaintar pages, what artists have you worked with to bring it to life? The most definitive Shaintar artist over the years is the incomparable Jason Engle. I am extremely grateful and honored he’s done so much for the setting, both in terms of illustration and design. At the same time, the stable of artists working with the Savage Mojo team are incredibly talented, and many of them have contributed significantly to the beauty and terror of the imagery of Shaintar. Finally, I must give a shout-out to Susan “Sooz” Knowles, who’s done far more to enhance my experience with Shaintar than most will ever know. What kind of supplements are we going to see moving forward with Shaintar? The slew of 30+ Guidebooks, Black Lantern Reports, and other products from the Kickstarter continue to flow. Cultures, nations and kingdoms, factions, and more are all in the works or already out. Almost all of them will have something for players to add to their playing experience, and GMs will find tons of added material for their games. It’s habit for me to ask for GM’ing pearls of wisdom, and you’ve been gaming a long time Sean. If you had just one chunk of advice to give GM’s everywhere, what would it be? Communicate your expectations with your players right from the start. Be willing to set guidelines and limits, and make sure your players understand as they create their characters and as they engage with your campaign. Most players will greatly appreciate knowing what kinds of characters will work best for your story and for the setting, rather than stumbling about and trying to figure out how to fit in. This kind of communication also goes a long, long way towards regular, fun, harmonious gaming experiences instead of constant stress and tension at the table. 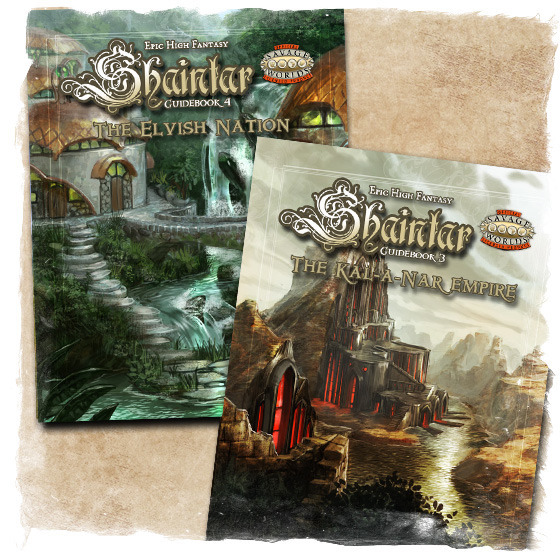 Be sure to check out all of the Shaintar stuff Drive Thru RPG has to offer! Perhaps giving the gift of epic fantasy awesomeness is just what someone on your Christmas list needs!